As an instructional designer, I’ve had my fair share of blank stares when I tell people what I do for a living. E-learning? Instructional design? When I talk about my job I may as well be speaking in tongues. If you’re reading this article, I’m guessing you’ve been either on the giving or receiving end of this kind of interaction. Let’s take a few minutes to break down what instructional design (ID) is, who’s involved in the ID process, and why it’s an important part of e-learning development. Fundamentally, you can think of ID as the process of taking information and framing it in a way that makes it interesting and easy for learners to understand. That might be a little oversimplified, but it’s a good place to start. Analyze: This first phase of the ID process is arguably the most important, as it allows you to identify the key elements you will need to design an effective e-learning course, such as the training needs, the learning objectives, and the learner profile. Design: During the design phase, instructional designers take everything they learned during the analysis phase and start planning and structuring the content. This includes the project’s learning activities, exercises, assessments, visual design, and interface design. The document produced during this phase of development detailing all these decisions is called a storyboard and serves as a blueprint for the course. Development: The development phase is where instructional designers take the storyboard they created in the design phase and actually create the activities, exercises, graphics, etc. This phase also involves beta testing and debugging any issues that turn up. Implementation: This is the phase where the course is uploaded to a Learning Management System (LMS) or put online so learners can access it. Evaluation: After the implementation phase, the course is evaluated to measure how well it achieved the objectives detailed in the analysis phase. The course evaluation may result in revisions and an updated version of the course. The ADDIE approach is the current ID standard. Of course there are other ID models, such as the SAM Model, but they aren’t as widely used. To take a deep dive into the ADDIE model, check out this article. The people who practice ID are often, aptly, called instructional designers, but there are a lot of other names used for this role: training designer, instructional technologist, e-learning designer, e-learning developer, educational technologist ... the list goes on! The ID role varies from organization to organization. Depending on the size of your team, you may find yourself doing more or less of the above-listed tasks. Keep in mind that this is not an exhaustive list and is merely intended to give you an idea of the kinds of things instructional designers do. Why Does Instructional Design Matter? If you’re building a course, chances are you’re doing it because you want learners to acquire new knowledge or skills. Solid instructional design will help ensure that happens. Thanks for this! I'm starting to put together my first course and this really helped me to get a good idea of what I need and where to start! Thanks Allison for this! I always feel we 'over-use' the term 'Instructional Designer' when in actual sense, our real work varies and are diverse... But maybe we all must begin by first being called IDs! You're welcome! Yeah I think it is hard to come up with a term that accurately describes all the things that IDs do. What do you think it should be called? In schools, people who do the things you list are curriculum designers or authors. If you then deliver the material to the learner, this is the description of what I have been doing for 30 years as a teacher. But minion sounds good, too. Nice post and good way to bring ADDIE forward for the newbies. Has anyone checked out SAM as an ID Methodology? Sorry Jeff I'm not sure how I missed this comment! I personally have never used SAM but it sounds interesting. Have you tried it out? I looked up SAM after you mentioned it here, Jeff, and I find that this is often the way I work and prefer it much more than ADDIE. I think it works best if I'm doing both ID and developing though. If there are more people on the team, then ADDIE seems to be less chaotic. You're welcome, glad you found it useful! This aptly sums up my current situation. We're a new team of IDs still fumbling through the wonderful world of ID. And just like Stephanie, we're also working on our first project. Not sure about the fun part. There are so many things to learn and do. It can be overwhelming at times. Hi Azlina! So sorry to hear that you are feeling overwhelmed. It's never easy when you are starting out, but that is what this community is here for! I would encourage you to reach out to our members via the discussion forums (https://community.articulate.com/discuss) with any questions you may have, whether they are general or software-specific. As with any new skill there is a lot to learn in the beginning, but once you get the hang of it I think you'll have fun with it! My organisation is starting to explore more interactive online elarning and I've been asked to learn FAST how to assist, facilitate and provide the skills necessary to make it happen. What skills would you recommend I gain as a person moving from a strong administrative background into elearning training design and development ? I would recommend checking out this article by Tom Kuhlmann about the skills you need to succeed: http://www.articulate.com/rapid-elearning/do-you-have-the-skills-to-succeed-2/ I think you'll find all the information you're looking for! Best of luck in your new role. Remember that the community is here for you if you have any questions, so don't hesitate to ask! Hi, how do i download a book to direct as to how to use the articulate storyline ? If you're talking about courseware, a better elevator speech would be, "I convert/create traditional instructor-led courses to an interactive online powerpoint-like format." That's a great way to make it understandable for non-e-learning people! Thanks Bradd. When people ask what I do I generally reply, "I'm a cruise director." My approach to instructional design adds a 'T' subscript to 'ADDIE' so it becomes: Analyze Design Thinking Develop Implement Evaluate It's easy for us to leave out the humanity piece once we get started. Like in the Love Boat opening where people are greeted as they board, how you feel about what and how you're learning matters. Cruise director seems to capture learning experience design quite nicely. Hi Maurizio! Unfortunately, in some cases it really IS one person working all alone on their e-learning course. 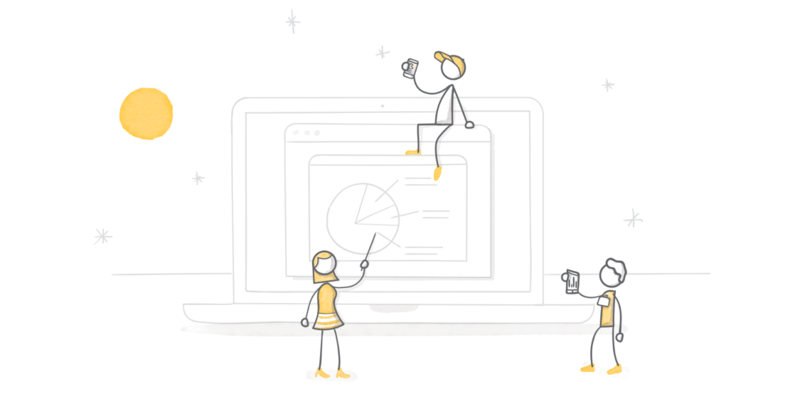 Some companies just don't have the resources to have an entire e-learning team. While it is nice to have a team of people working on the project, I don't agree that that is the only way to produce great e-learning courses. Thank you, Allison. I am happy with the above explanation of an ID. I don't agree that graphic design, illustration, multimedia producer, etc. are inherent roles of an instructional designer, regardless of your comment to Maurizio above about one person makes a team. The instructional designer's role, in terms of illustration/animation/etc, SHOULD be to frame out and define the graphics for the associated content. I'm not saying there aren't qualified IDs, but by and large, they do not have the prowess to pull it off. A professional illustrator, especially one who's area of expertise is eLearning, should be the one to bring the ID's ideas to life. As far as look and feel of the course, that is better left to people who live and breathe design. A pet peeve of mine is seeing these SL characters used and abused because they look pretty. It's just fluff on a page that has no benefit to the learner. I think we're living in a age of, "it's good enough," and that's sad. A lot of this has to do with companies stock piling cash while citing the poor economy. Do more with less is the mantra. That's my nickel's worth. You're right -- not every instructional designer does graphic design. The point is that some do. And I have to say, some are quite good at it! I don't believe it's impossible to be good at both instructional design and graphic design. There are teams of one and teams of many, and there are advantages and disadvantages to both. The objective of this article is simply to give people an idea of some of the different things instructional designers may or may not do as part of their job. I can do both, and I can tell you that top-down design from 99% of ID's who do not understand graphic design cannot design for it, either. Generally what you get is word-oriented folks who thing of images, videos and charts merely as supplemental support to their words, rather than an integral part of the message. "Bringing the IDs ideas to life" suggests an ivory tower top down approach, rather than a collaborative one, and this is one big reason that most "training" is so crappy, boring, and rightfully scorned as tiresome and ineffective. I think you've wrongfully assumed what my, "bringing ideas to life" comment means. It certainly does not mean what you refer to as and 'ivory tower,' top-down approach. eLearning designers/illustrators/animators are a very specialized group. The good ones don't think in terms of supportive graphics, ever. They're able to get their head into the content, look at the direction given by an ID, and brainstorm ideas that will bring the content to life. The outcome sometimes results in a rewrite as the eLearning designer will offer an approach that is not so obvious. I would also say that the majority of ad agency types of designers would struggle with working on eLearning course content. However, they would be great at conceptualizing look and feel elements. If that is what you meant, you certainly didn't say it the first time around, so no, I didn't wrongly assume anything. Sorry, but if the "developers" and the "graphics guy" aren't included in the design process from the beginning, it's a top-down process, and the results are the crap courses we generally find that can't get out of preachy mode. My original comment was centered around the production aspect of the project, not the design phase. I am a technical trainer and desire to learn more about instructional designer. I perform some responsibility of an instructional designer in between training. It has helped me to be a better trainer. What approach would yo suggest for me learning the many task you listed? The SAM model opens the door for IDs to again fail to be system thinkers who can evaluate the effectiveness of their curriculum. The result is learning without measurement and ongoing evaluation and a field that adopts the habit that it produces and doesn't improve itself.. Think of ADDIE as a planning method, and SAM as a production method, and CCAF as a more complete approach. Esoterica: After WWII, the US Army found itself full of young men with little training. When they were ordered to do something, they rushed off in all directions, whacking and hacking. When asked what their plan was, their response was "Plan?". They had great enthusiasm, but little knowledge of strategy. So the army created ADDIE, and forced them to to learn it and use it. Personally, I prefer to think, not in terms of planning and production, but in terms of creating: 1. Design Answering the most important question: "When I kick this baby out, and it lands in the hands of learners, what do I want them to do?" 2. Organize What is the least I can put in it to cause that to happen? 3. Analyze What things can go wrong, and how can I help the learners avoid them? 4.Details Attention to details is what distinguishes great from good. It's also what keeps patients from being sewed back together with scalpels, sponges, and gauze inside them. It's at least as necessary in education as it is in surgery. 5. Variety Everybody thinks they know that different people learn different ways, but just as importantly, there are optimal ways of learning different materials and topics. 6. Finish A bunch of guys went on a bear hunting trip to Alaska. One showed up without a gun. When they asked him about it, he said, "Where I'm from, you don't need a gun to hunt bears. All you need is a big stick." Early the next morning, he went out before they were awake, found a bear, and hit it across the nose with his stick. He ran back to the cabin, jumped in the window, ran out the door, closed it, and yelled in, "You guys skin this one while I go get another." If it's not complete, it's a bear trapped in a cabin. 7. Evaluate It's the only way to keep from making the same mistakes every time. Seriously, make it a point that all your mistakes are new; ones you've never made before.